Hi all! It's Deasy here. 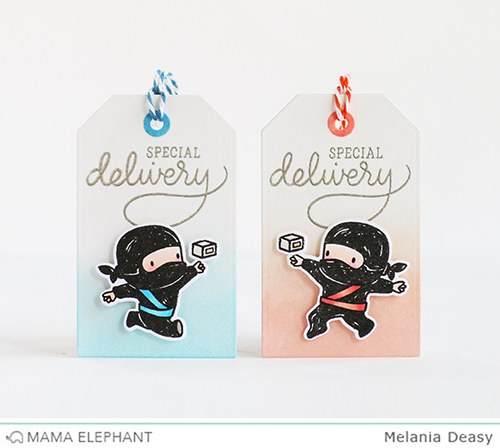 Today I want to share my fun card and tags featuring Tiny Ninjas. 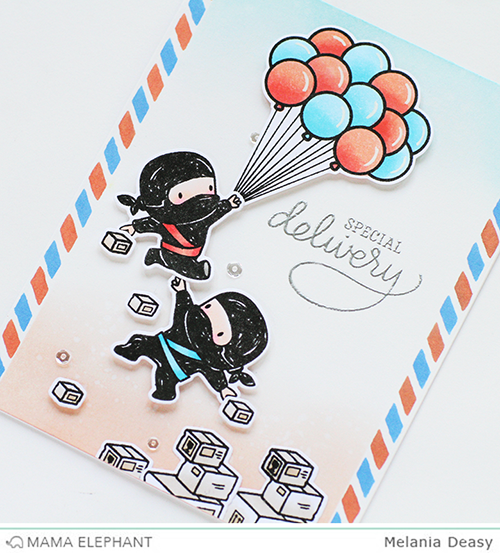 I LOVE this stamp set because it's so versatile with any theme you can imagine! 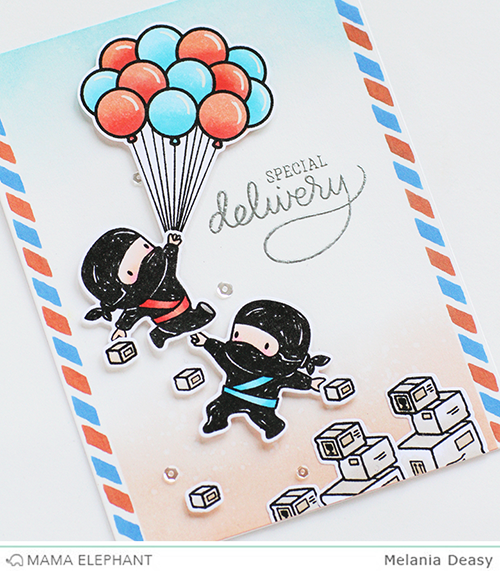 I made special delivery card and tags with cute Ninjas busy delivering the package just for you! I stamp, coloring the images using copic then die cut it. To coloring the background, I'm using dye ink pad with blending tool then splash some water with my brush. I love this!!! So fun and creative! Very cute. 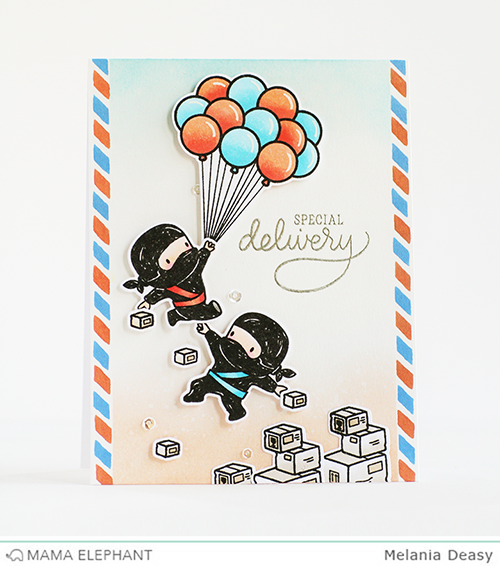 The Ninja's look very happy delivering the packages!! Wow!! These are Super CUTE!!! !